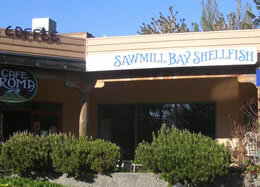 Delivery Information | Sawmill Bay Shellfish Co.
To ensure you get your shellfish quickly & in tip-top condition, we operate a collection system. Have a look at our pick up point list below & find a location near you where you’d like to pick your shellfish up from. You will be asked to specify your chosen pick up point as part of the checkout process. The cost for pick-up point delivery is $11.20, inc HST. We also offer a direct delivery option throughout Southern BC. The cost for direct delivery is $33.60 inc HST. Order by noon Saturday for Tuesday/Wednesday delivery, or by noon Wednesday for Saturday delivery. Please contact us if you have any specific delivery requirements and we will try to accommodate. Click here for other shopping information. Buy online here, or visit our store located in Village Square Plaza, Quathiaski Cove, Quadra Island B.C. The store is open Thursday & Friday, 10:00am to 4:00pm. Telephone: 250-285-3228. See our delivery options here. Find out about our minimum order values and our no quibble guarantee.